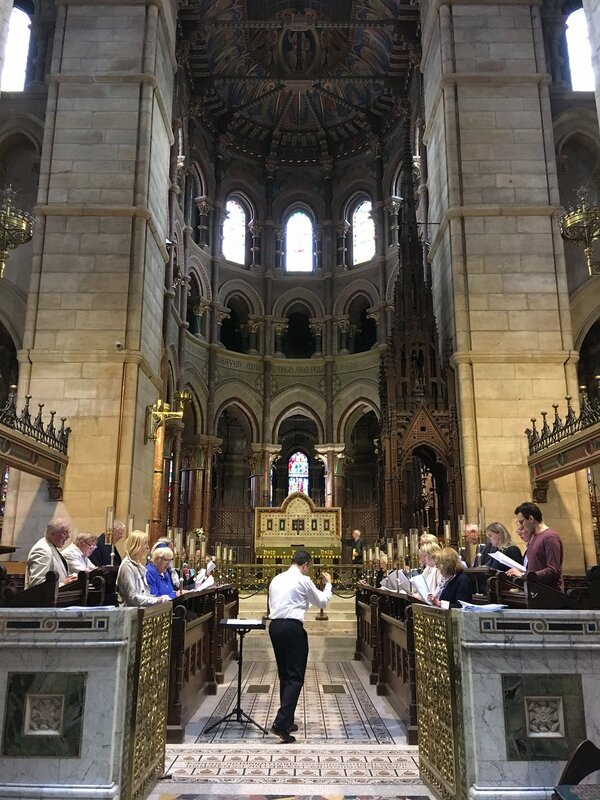 Almost 40 singers attended an afternoon at St Fin Barre’s Cathedral organised by Peter Stobart and the Cork, Cloyne and Ross Diocesan Church Music Scheme on Saturday 15th September. The challenge was to sing Choral Evensong from scratch, and with just two hours of rehearsal. Evensong is a service which is largely sung by the choir and it has a variety of choral styles embedded within it. The afternoon began with one of the hymns, followed by chanting the psalm which is a huge challenge in uniform singing for a new group. The Canticles were by the Armagh-born Charles Wood and the anthem was ‘The Lord hath been mindful of us’ by S. S. Wesley. A well deserved cup of tea gave the singers a short break before the atmospheric service began. Guests from St Mary’s Cathedral in Limerick were amongst the participants along with singers from Bantry and others closer to Cork City. 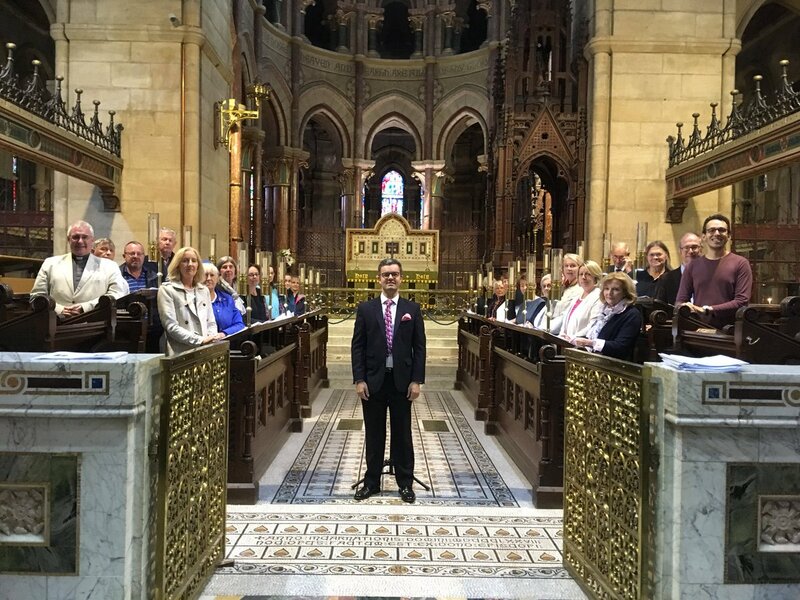 Mr Peter Stobart and some of the singers who joined in the ‘Come and Sing Evensong’ organised as part of the Cork, Cloyne and Ross Diocesan Church Music Scheme. This entry was posted in Cathedral, Church Music, Diocesan Church Music Scheme. Bookmark the permalink.